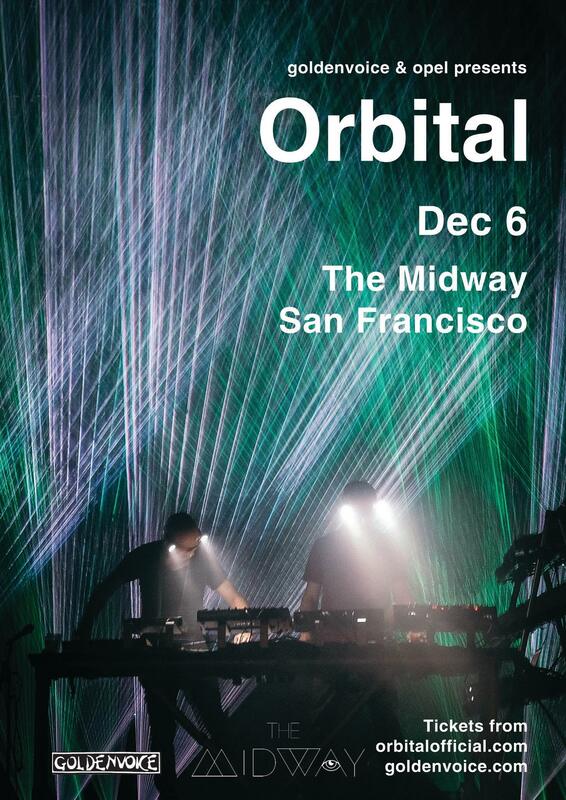 After a barnstorming live reunion which saw them play to ecstatic audiences across Europe throughout 2017 Britain’s giants of electronic music Orbital announce they’re back for good – with new music and an upgrade of the legendary live show that transformed festivals across the world. Tix are $39.50 HERE : https://www.axs.com/events/363429/orbital-tickets?skin=goldenvoice. If you can buy them in person at Warfield box office (event is at Midway), you’ll save on ticket fees. Had to use GV’s outlet so sorry about the fees. Not my call.